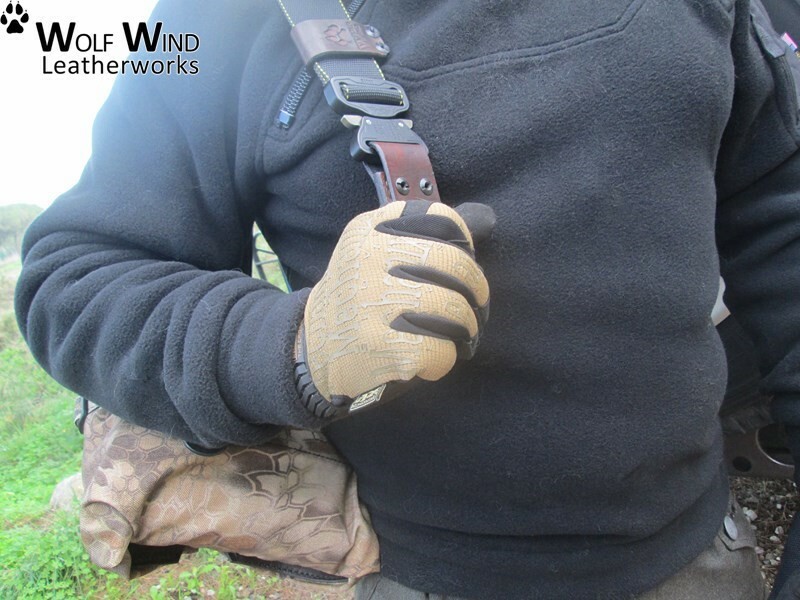 This ultimate and professional compact bag was tough "forged" with a functional design, handmade and hand stitched on a versatile heavy duty bag designed for Military, long range Hunters, Outdoorsmen and Law Enforcement operators. It is built specifically for serious users with the best-in-the-world materials and to be your trusted companion. This bag has a camo solid color selection (kryptek camouflage the most advanced camo pattern ever achieved) that also makes it a low profile look as a perfect Everyday Carry (EDC) or just a solid base for your bug out bag. Made for minimalist carry but has been carefully engineered to adjust to end-user requirements and to adapt to multiple mission profiles. The durable 500D Cordura® nylon fabric with saddle-stitched thick leather (8-12oz) is practical and gives an incredibly robustly performance to the bag. multi-day loadouts, maintaining an agile profile. the shroud in four parts, allowing you to easily see, have access, load, and organize all your gear. Also, there are integrated storage solutions on the four permanent leather pouches. 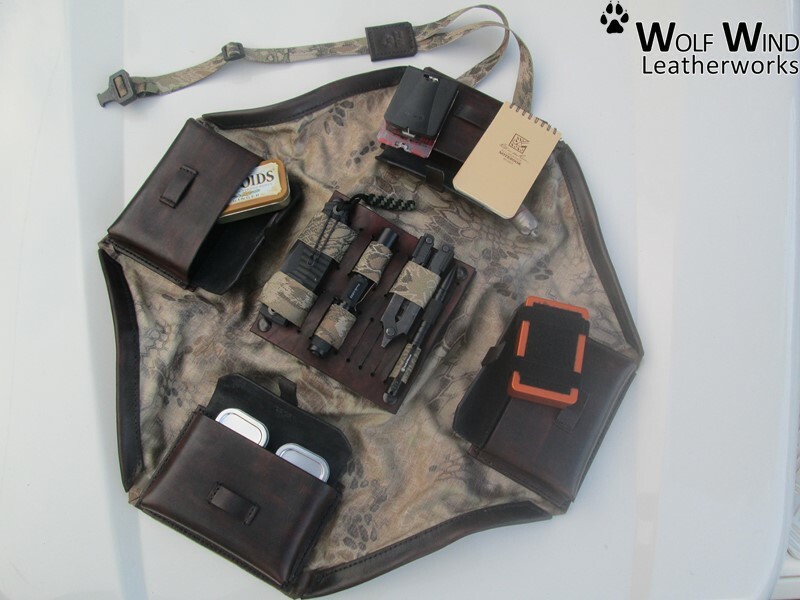 These pouches are combined with a ruggedized detachable leather central painel (plate carrier) which has polyamid bands that keeps your gear available, as also allows you to customize and change anytime the layout of your gear to suit your changing needs. A highly functional carry system supports both modularity and end-user customization of its components. This versatile bag design provides room enough for storage the necessary tools based on the survival needs: Water, Shelter, Fire, Tools, Medical, Signal, Navigation and Food. The room size is also compatible for large Altoids-sized tin or similar and also for small SUMA containers (from Solkoa Survival Systems). 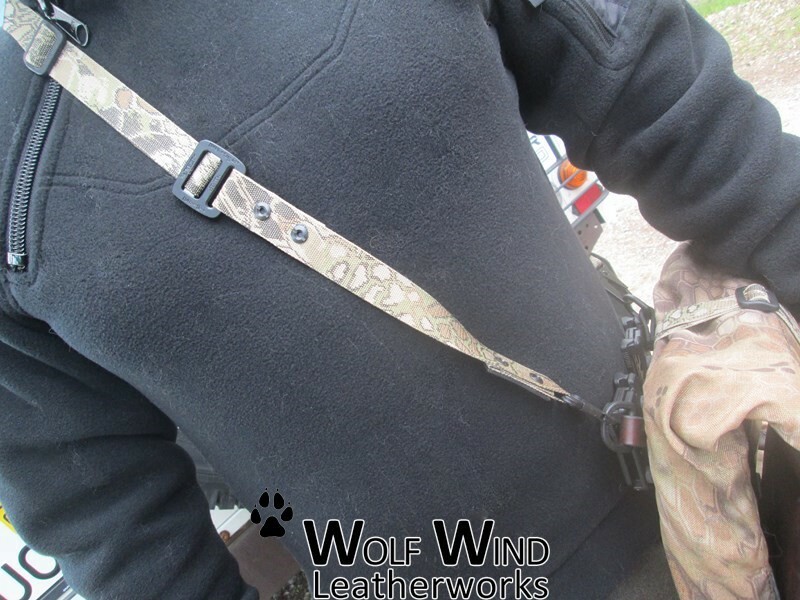 mount to top, on sides, and front of your rucksacks, backpacks, on your belt or on your shoulder with the Wolf Utility Sling (INCLUDED). 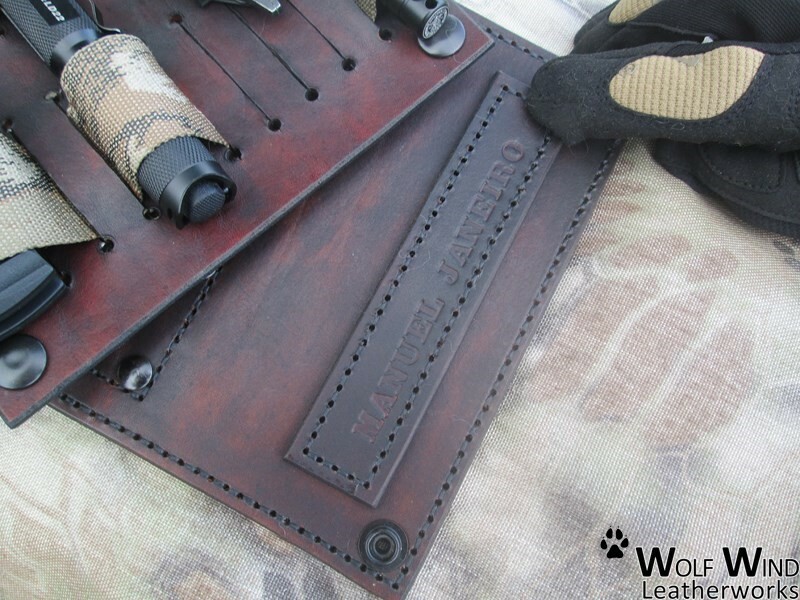 Each bag is personalized - stamped with the owner´s name. Wait time for this product 7/8 weeks but is well worth the wait ! Using a piece of twine or rope, start from the middle of your chest, and run it over your shoulder and across your back and back to the middle of your chest. Than measure the length. This is the LOOP size for your sling. - Natural or Black or Dark Brown ?